Just £159.99, CNC Refurbished Super Windows XP PC system with parallel port for CNC use, Intel Core 2 DUO E4400 2.0GHz DUAL core processor, 1GB RAM, 80GB Hard drive, CDROM drive, Windows XP Professional. PC base unit only. Comes with 1 year warranty and fully backed up after sales support. Ideal for home office/call centre and business use. 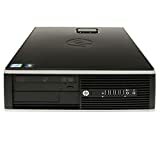 This entry was posted in Computer Desktops and tagged 1000GB, 2.93Ghz, 8100, Computer, Desktop, Elite, Intel, Refurbished by Express Computer Supplies. Bookmark the permalink.